This Metallica guitar tab book is the matching folio to their multiplatinum album . 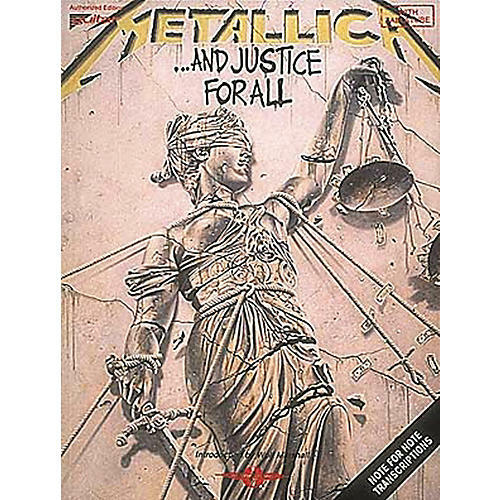 . . And Justice For All includes all 9 smashing metal songs: " "Blackened," "Dyers Eve," "Eye Of The Beholder," "Harvester Of Sorrow," "One," "The Frayed Ends Of Sanity," "The Shortest Straw," "To Live Is To Die" & . . . And Justice For All." Also includes an introduction by Wolf Marshall. 95 pages.